The 2018 Subaru Outback is voted one of the best family vehicles in America according to Parents Magazine and Edmunds for 4 reasons. 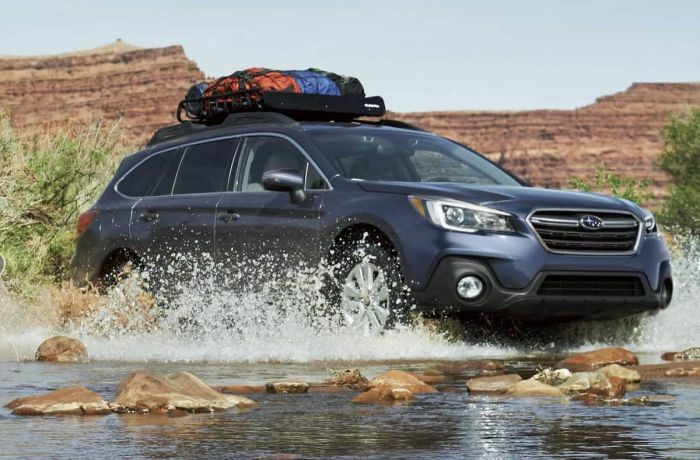 Outback wagon is picked one of the 10 Best Family Cars because it offers the best value, top safety features, driving performance, and family-friendly elements on the road. The 2018 Subaru Outback is Subaru of America’s best-selling vehicle in their all-wheel-drive lineup. It has taken over the top spot from the Forester SUV the past two years. Outback is an older nameplate for Subaru, but it keeps getting better with age. The Subaru Outback wagon is known for its all-weather capability, and it received a five out of five safety rating and gets the highest Top Safety Pick+ award from the National Highway Traffic Safety Administration. Families looking for even more safety features can opt for Subaru’s EyeSight driver assist technology ($1,995) to the Outback and you’ll be alerted if you stray out of your lane. The technology also reduces engine power and applies the brakes if you are likely to hit another vehicle. With standard all-wheel-drive, 8.7-inches of ground clearance and its off-road feature X-Mode, the Outback has a “go-anywhere” attitude. You’ll see families loading up their vehicle with mountain bikes, surfboards, kayaks, and camping gear heading to the high-country for weekend get-aways. Even though the 2018 Subaru Outback is a wagon, it's the most "SUV-Like", according to Parents Magazine and Edmunds. "The 10 Best Family Cars of 2018" appears in the July issue of Parents magazine and you can click here to see the other nine vehicles.